We're just two days into Fall and I'm already behind. Last year, Nicole/Sisters Choice, Lisa/Stashmaster, and I attended the fun week of quilt activities at the Buggy Barn. The last day was a huge outdoor quilt show and this quilt caught our eye. This is Autumn in my Garden from the Buggy Barn book A Little Bit Crazy. While on the trip we decided to have a little sew along and make this quilt. 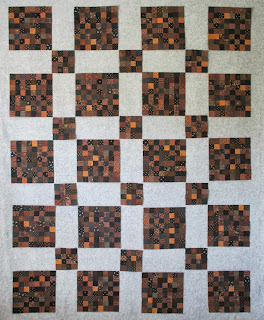 To make things even more fun we swapped fabric, to make a super scrappy version of this quilt. Here are our yellows. Yellows are hard, my stack had more of an orange tint to them, Nicole's were more gold, Lisa probably did the best job with swapping actual yellows. 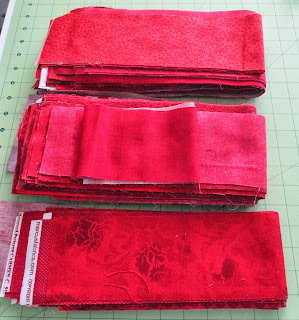 And here are all the brown strips I needed to make those flower centers. And I have made them. Someone threw in some light browns in their stack and I love the little bit of sparkle they add to those blocks. I would have stuck with dark browns and blacks, I'm so glad Lisa or Nicole thought to include those strips. And here are my blocks looking a little more like sunflowers. What a difference those yellow corners make to those blocks! Next up, 320 half squares triangles. Since I couldn't stop playing with my last project, Lisa and Nicole got a jump on me and are well into their projects, stop by their blogs to check out their tops. Yeah, that sparkle is really nice. You should blog about how you use your easy angle for your HSTs. 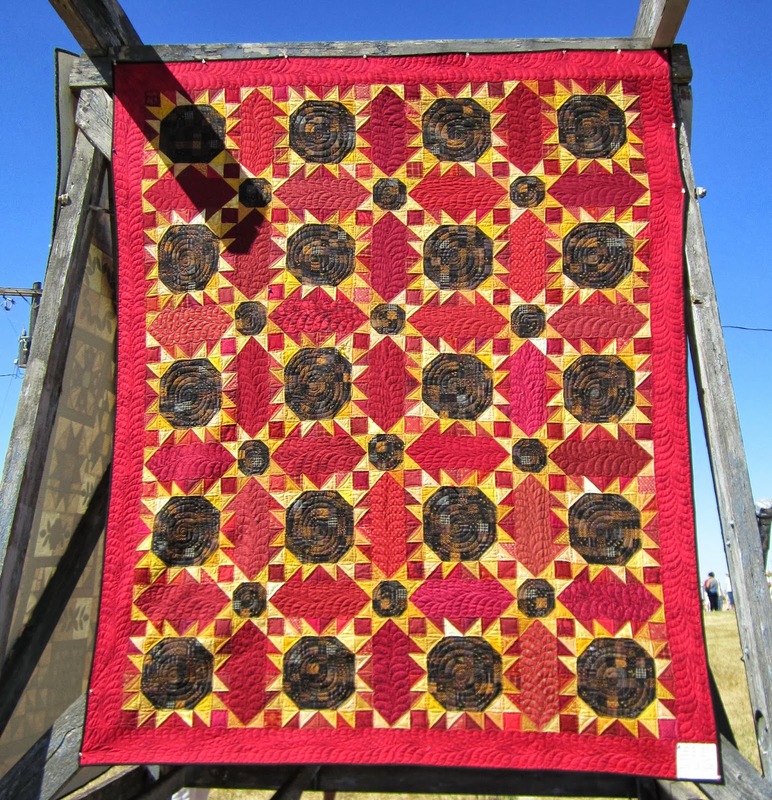 I have always loved this quilt. 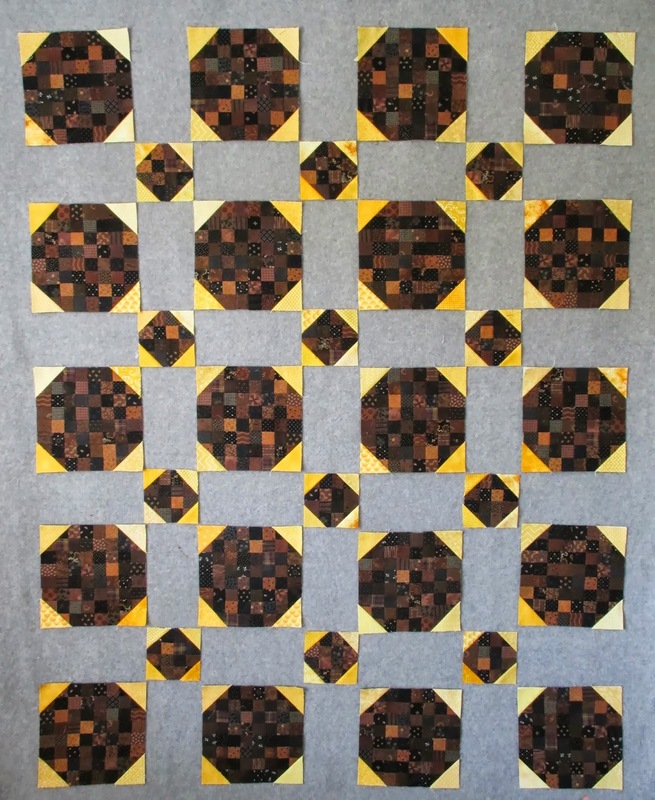 Saw it quite a few years ago in American Quilting Patchwork calendar and loved the look. Never got around to piecing it, so I will so enjoy following you on your journey. Thanks so much for sharing it with us. What a fun project to do with friends...great idea to swap fabric strips! 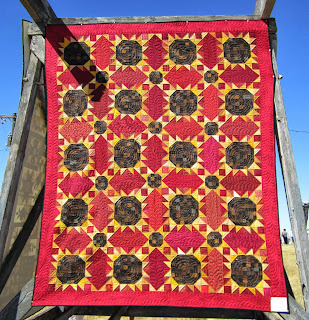 I don't even like sunflowers much but I LOVE this quilt! 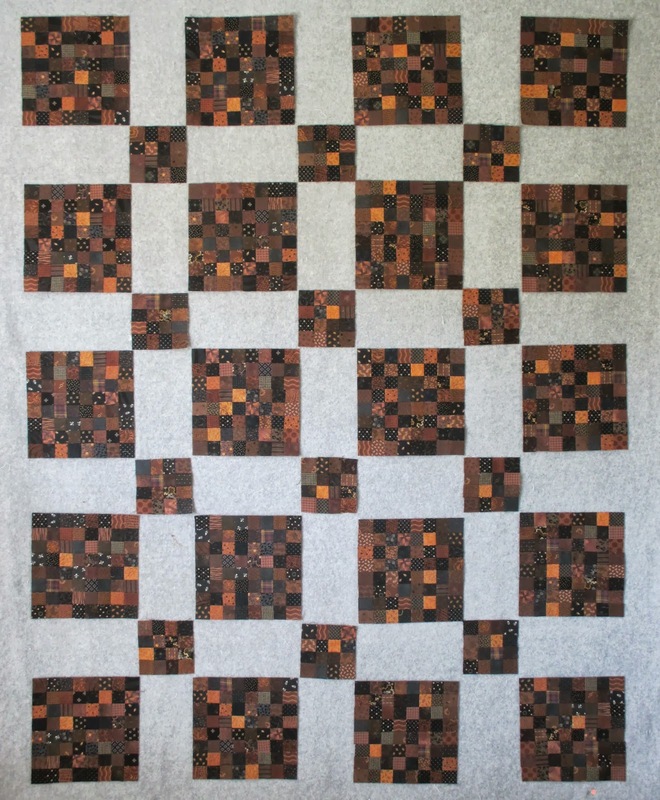 it's going to be a beauty of a Fall quilt! 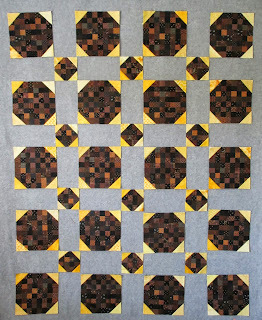 oh no another quilt that has been on my radar to make and here you are making it and it will probably be done by the weekend! LOVE the look of the fabrics, swapping with friends was such a great idea....I agree love how those browns sparkle! 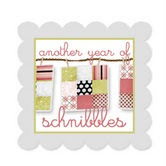 so much more fun sewing with others even thru emails/skpe! I love this quilt and made one several years ago. My husband is from North Dakota and my favorite thing there are the beautiful fields of sunflowers. After visiting there, I just had to make this quilt. Have fun with yours! I, too, stitched this quilt a few years ago. I've always loved it and enjoy displaying it during this time of year. I also made a four block wall hanging for a girlfriend. It's look great in her "Tuscan-style" home décor. 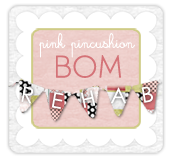 I'm following all of your blogs and enjoy seeing each one's progress. So far, I really like this pattern but would have to shop for fabric. I don't have many reds, yellows OR browns in my stash. Weird, I know!